The Macho Coffee Table from Zuo Modern is overflowing with artistic style. 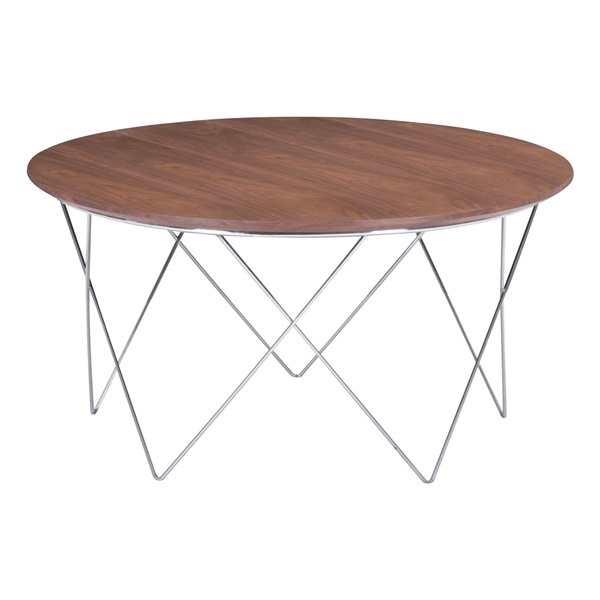 The simple design uses a natural round top finished in a warm walnut to balance the delicate chrome base, which uses a symmetrical x-pattern. This stunning table works well in any setting. The perfect balance of natural and modern elements gives the Macho Coffee Table a versatile design that can be used for a variety of different functions.